Two-and-a-half years since their business was at a crossroads, Briarwood Farm’s Lisa and Gavin McMaster were proud to have a Group 1 performer in the Empire Rose Stakes on Derby Day. Briarwood was primarily an agistment and spelling operator based at Cora Lynn on the south-eastern skirts of Melbourne, but when their biggest client Peter Moody decided to quit training, it was a significant shock to the prosperous operation. “We spelled for Moody for 13 years, since he came down from Queensland. We had a fantastic relationship with him and it was a bolt out of the blue when he rang me up one Saturday morning and said I’m walking away,” Lisa McMaster said. The resultant soul-searching saw Lisa and Gavin put much more of their energy into breeding and racing, something they had done as a hobby before that point. A few months before the Moody bombshell, one of their broodmares, Sadiya (Encosta De Lago), had foaled a Bel Esprit filly. With their new strategy for breeding and racing in their mind, they decided to keep her rather than send her through the yearling sales. On Saturday, that filly, now a four-year-old mare named Temple of Bel (Bel Esprit) contested the Group Empire Rose Stakes for trainer Tony McEvoy with a promising run, and finishing off in her usual way, strong to the line. Temple Of Bel has been a special horse for Lisa McMaster in more ways than one. 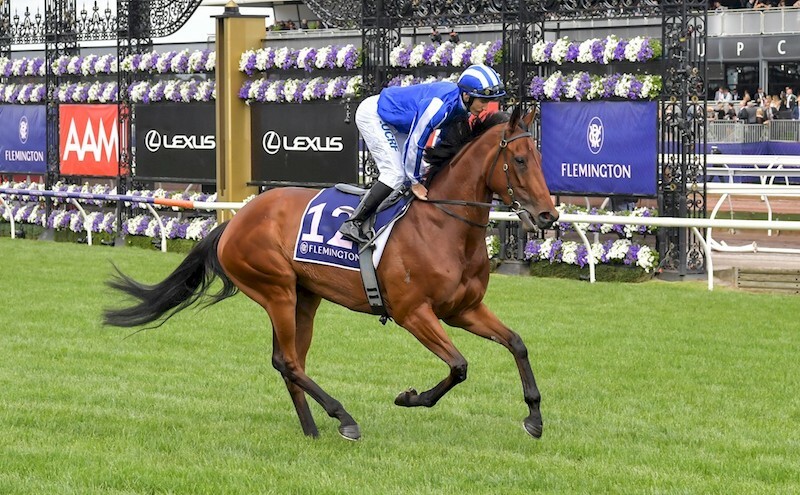 She is the fourth generation her family has bred and raced, including the granddam, Lisa’s Game (Umatilla), who gave them one of their greatest thrills in racing when narrowly beaten in the 1998 Group 1 Caulfield Cup. “My father, Don Marshall, bought Lisa’s Game’s dam, Barbie’s Game. Then we raced Sadiya, the mother and now Temple Of Bel, so we’ve got quite a few from the family,” she said. The McMasters sold Temple of Bel’s older sister by Artie Schiller, the now stakes-placed Wheal Leisure, for $22,000 as a yearling and also sold her younger half-sister by Fiorente, Sadente, for $50,000. “It just so happens that we kept Temple Of Bel. You can’t keep them all, as they do accumulate pretty quickly, so we sold the others and kept her,” McMaster said. Having started her career with Henry Dwyer before spending time with Archie Alexander, this is Temple Of Bel’s first full campaign under the guidance of Tony McEvoy and after closing sixth in the Group 2 Blazer Stakes at Flemington, Temple of Bel rushed home for fourth in the Group 3 Ladies’ Day Vase at Caulfield. “McEvoy was absolutely thrilled with her last two runs and her sectionals,” McMaster said. She was by far the lowest rated horse in the race, and drew the outside barrier, but they were still thrilled to see her get her momentum going and with her huge stride and she rattled off some fantastic sectionals in the finish. However, Briarwood Farm’s was dealt a blow earlier this year when Sadiya died in a paddock accident. It means that carrying the legacy of Lisa’s Game on the farm will now fall to Temple Of Bel, when she becomes a broodmare. As well as building their broodmare band up towards their target of twelve, Briarwood are now spelling horses for trainer Grahame Begg and syndicator Shelley Hancox. They are also offering broodmare services for several outside clients. “We are doing a lot more walk on’s, breeding other people’s horses and looking after their mares. There’s a lot more risk, but if you know what you are doing pedigree wise, you can increase your chances of success,” she said. EARLIER POST: Victorian breeders join together in a Divine celebration!